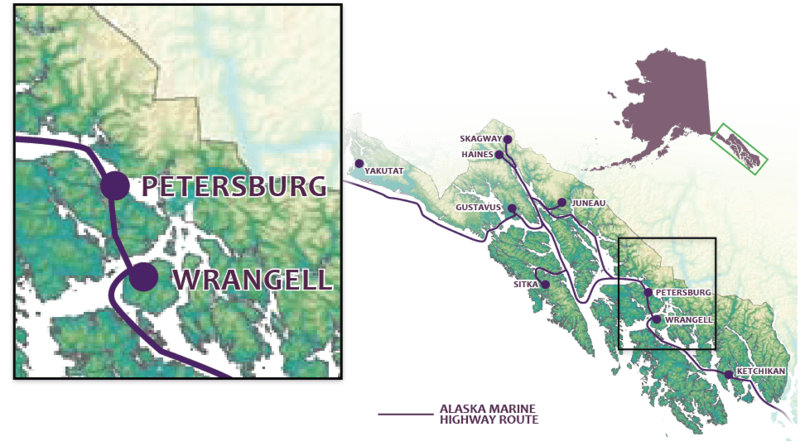 Petersburg is known for providing a variety of outdoor activities, including fishing, hunting, berry picking, biking, hiking, birding and beachcombing. Reel in salmon at Blind River Rapids fishing area, hike the Ohmer Creek Trail – which also offers fishing opportunities via access to the creek and adjacent ponds – walk the beaches of Sumner Strait, or explore the muskegs. There are many adventures to be had on the Mitkof Island roads, an intricate road system consisting mainly of old logging roads, which are gravel-surfaced and not maintained in winter months. Take your own vehicle or rent one and drive to the largest temperate rainforest in the world, where you’ll find stands of virgin old-growth Sitka spruce and western hemlock.